Every LEGO-loving home should have some brick-built decorations. 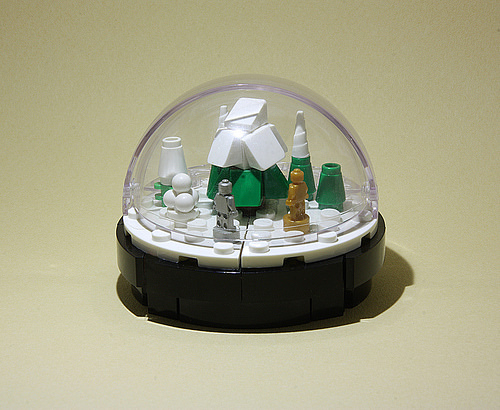 Why not take inspiration from seb toutouille and build your own lovely little snow globe model? This is so sweet, with good use of unicorn horns and ice cream scoops to create snowy upper branches for the trees. The silver and gold microfigures add a nice touch of festive sparkle to proceedings too. I could just see this as a table decoration during Christmas dinner.